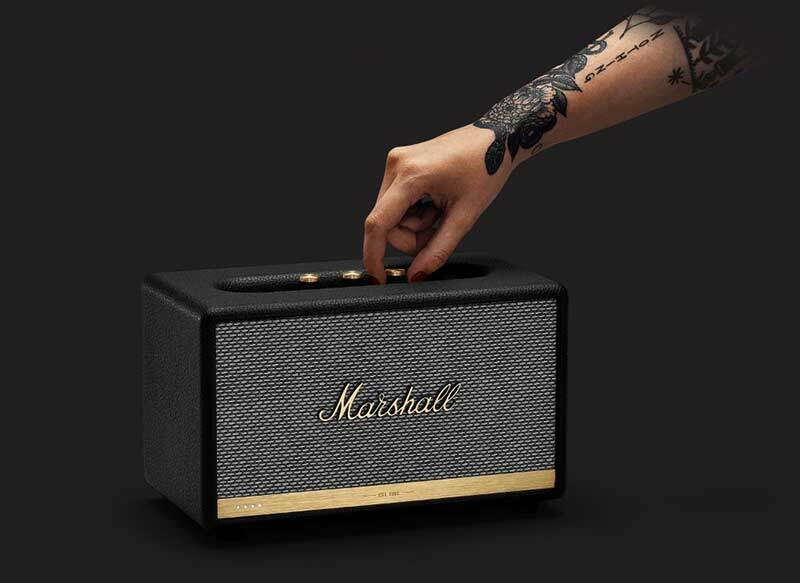 NEWS – Marshall, the well-known guitar amplifier maker has added some new smart speakers to their line up. We’ve all seen quite a few speakers that have Amazon Alexa support, but speakers with the Google Assistant built in isn’t as common. Marshall’s new Action II Voice and Stanmore II Voice speakers let you control your home and the speaker with your voice. Tell Google to queue up tunes from your favorite band or ask Google to turn down the lights because you’re in command even when the music is turned up because the speakers use a far-field microphone array make sure your voice is heard. The smaller Action II Voice with the Google Assistant built-in is priced at $299 and the larger Stanmore II Voice with the Google Assistant built-in is $399. Find out more by visiting marshallheadphones.com. And if you prefer Alexa to Google, you can buy the same speaker with that assistant baked in as well.